This is the time of year when I can’t wait to lighten and brighten up everything in my home. 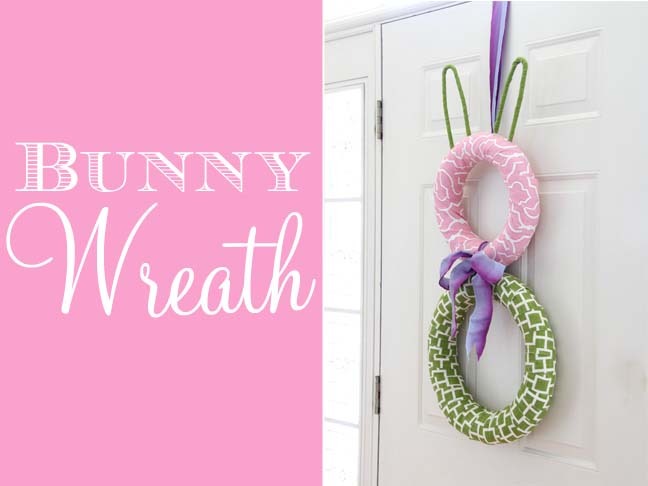 I still have to wait until May for my flower gardens to come to life again, but Easter is on April 8th this year and I decided to get a head start and bring some Spring colors into my home by making a festive wreath. 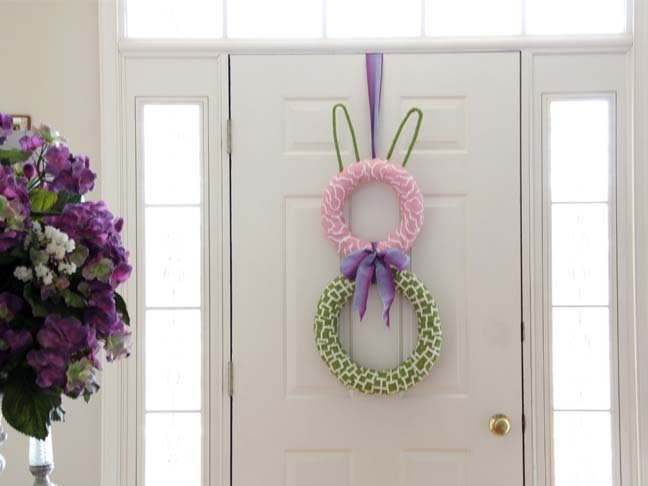 I used 2 straw wreath forms and a plastic hanger to make this Bunny Wreath. It is a very easy project and took me about half an hour to make. 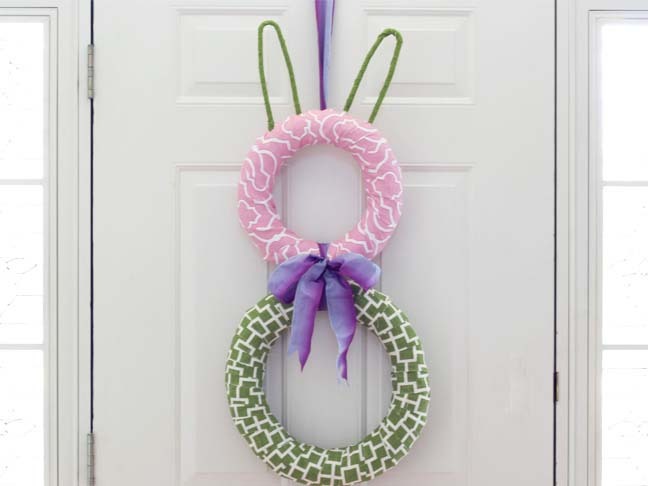 I hung the bunny wreath on the interior side of my front door, but you could hang it outside or even on a wall as art. 2 wreath forms – I used the straw type. 1. 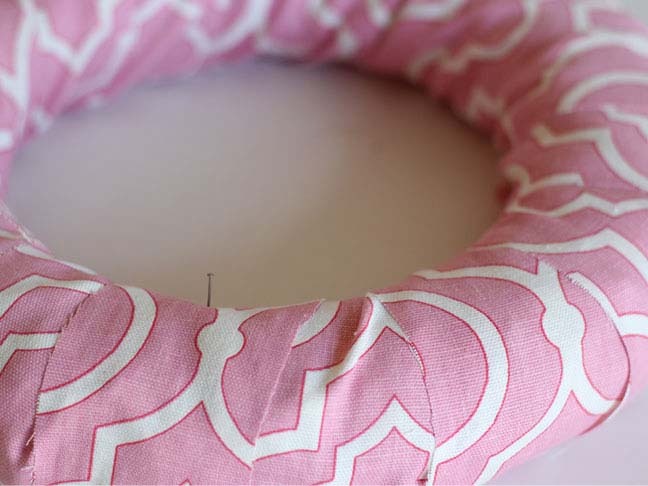 Cut the fabric to cover each wreath into 3-inch wide strips. Attach one end of a strip onto the wreath with a straight pin. 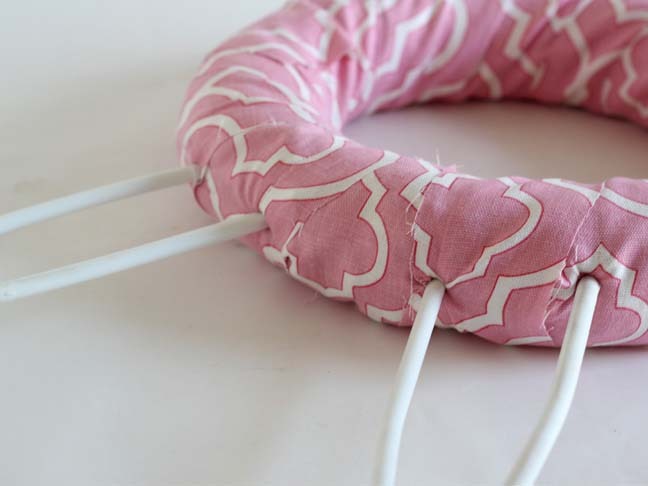 Wrap the fabric snugly around the wreath over lapping the fabric slightly as you go around. When you reach the end of your strip – place the end of another strip on top of the first and place a pin through the fabric ends and wreath. Continue covering the wreath this way until it is covered. 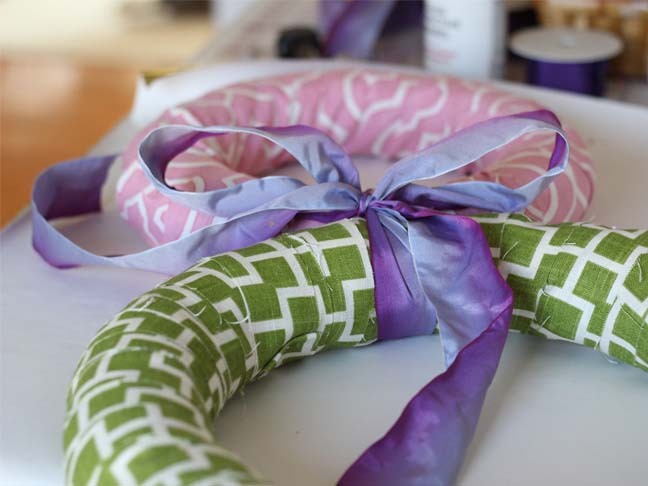 Do the same using the second fabric and wreath. 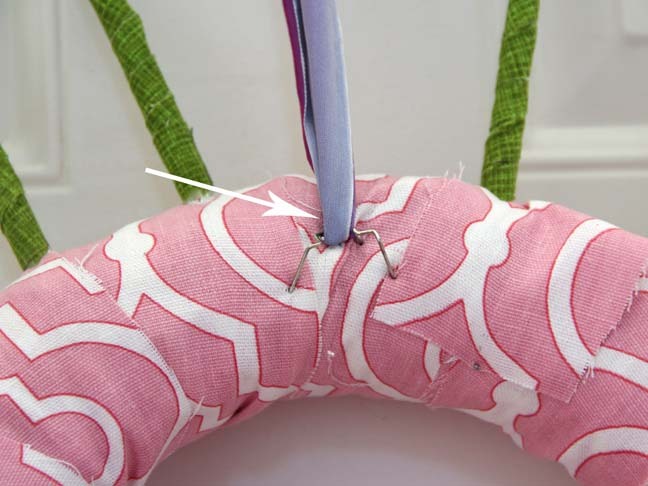 Use a straight pin to hold down the end of the last strip. 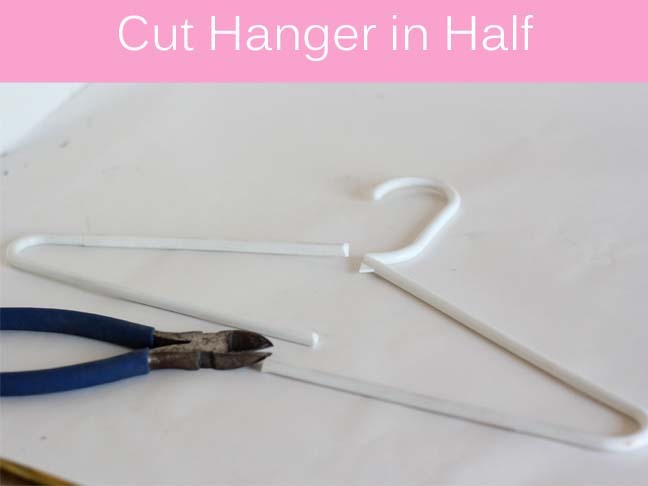 Cut a plastic hanger as shown below using wire cutters. The 2 shoulder sections will become the bunny ears. 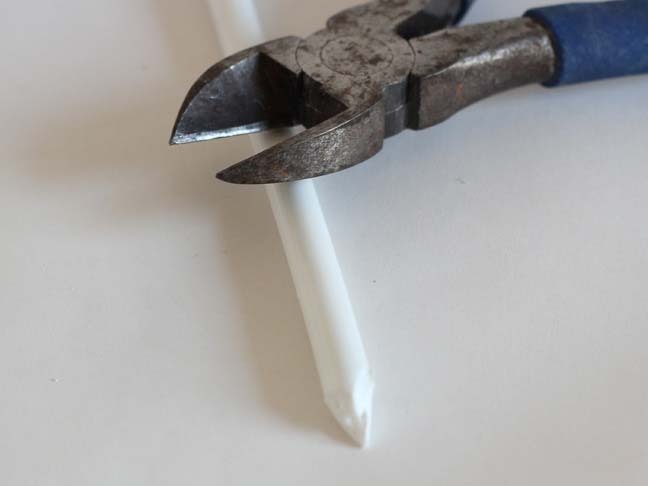 Using the wire cutters – angle cut the ends of the cut section of the hanger tips. 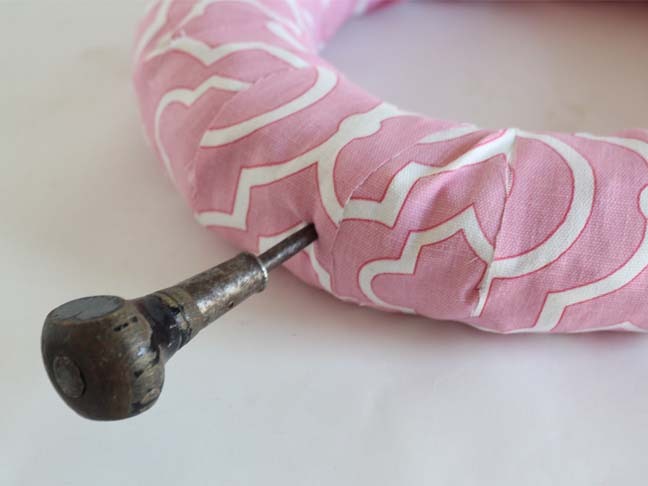 This will help you push the ends into holes you are going to make to attach the ears to the wreath form. Use an awl or a pair of closed pointy tip scissors to make a hole through the fabric and into the wreath where you want the ears to go. You will need to make 2 holes for each ear. The two ends of hanger will go into these holes. I made the ear holes on my bunny 2 1/2-inches apart. I left 3 inches between the ears along the top section of the wreath. 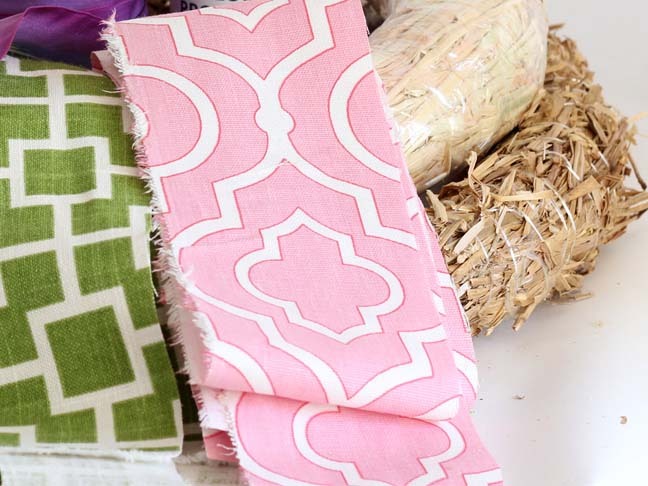 Depending on the weave of your fabric, you may have to rock or twirl the awl or tip of the scissors to get it through the fabric and into the wreath form. 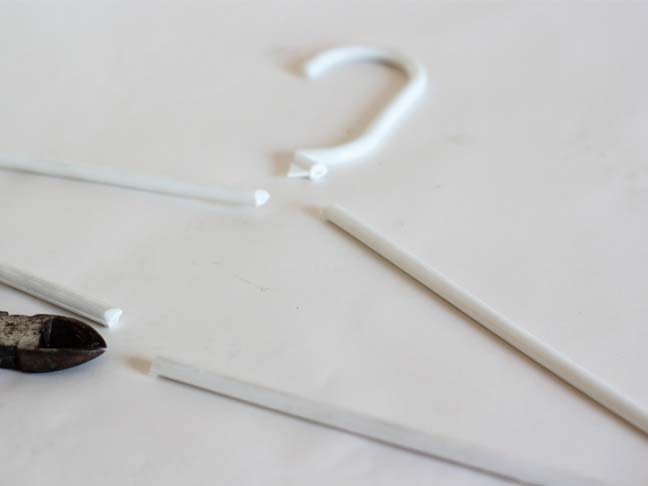 Place one hanger section tip into each hole and push it in with your hands. Repeat for other ear. You can leave the ears white or cover them with fabric. 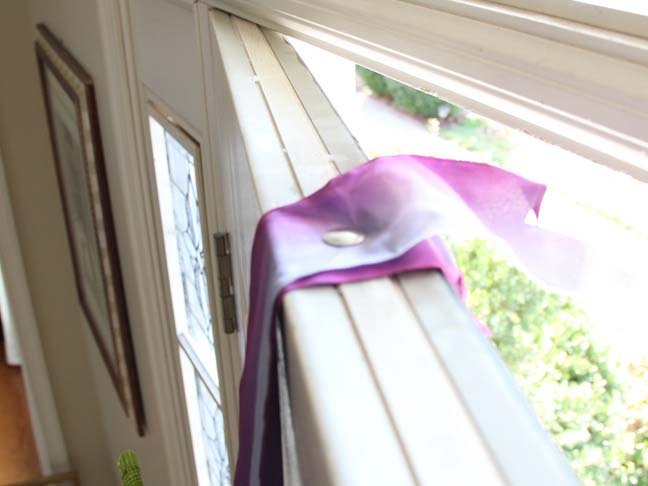 Cut the fabric into 1/4″ strip. 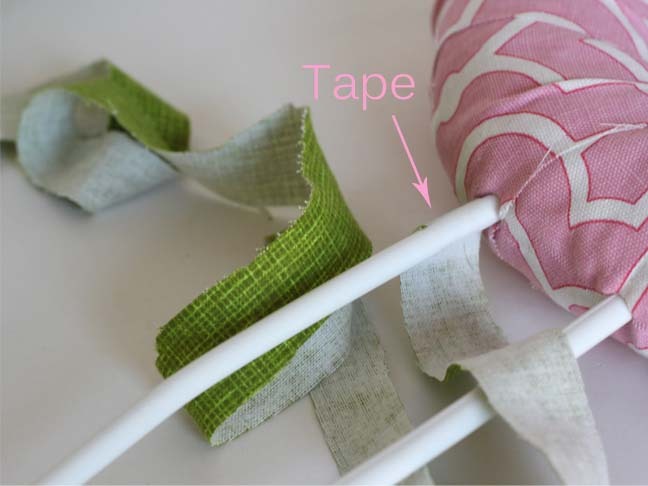 Use scotch tape to attach end of strip to the hanger. 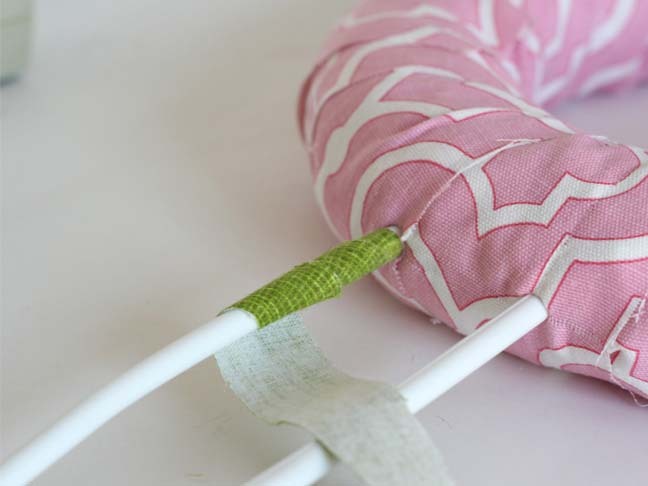 Wrap the fabric around the hanger until it is covered. 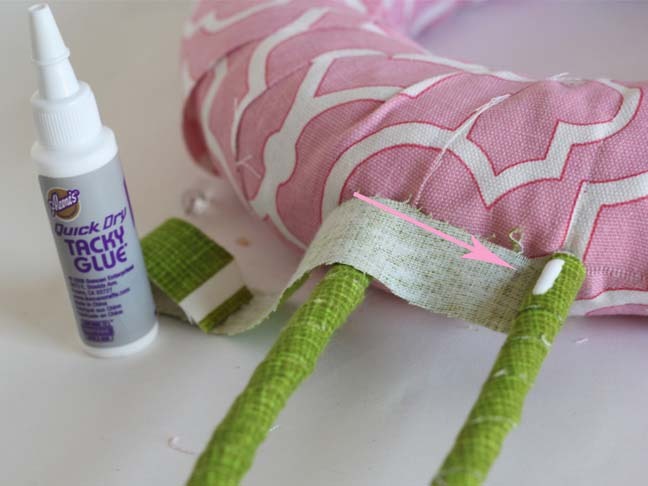 Cut excess fabric and attach end to covered pair of hanger with Tacky glue. 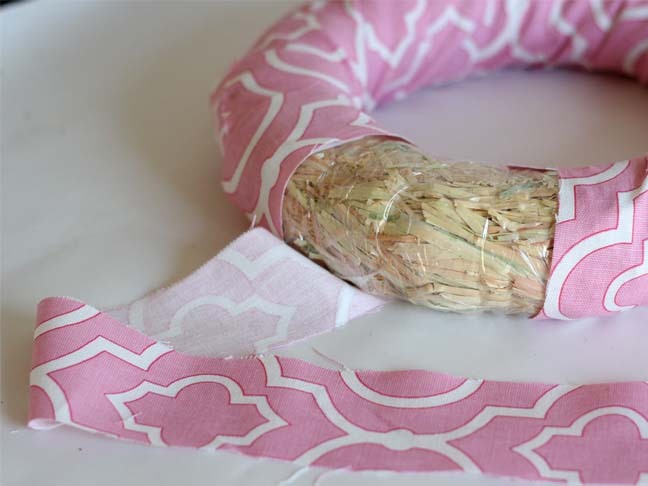 Using 1 yard of ribbon – tie the two wreaths together. Tie the excess into a bow. This will be the bunny’s bow tie. I used floral style picks to make a hanger for the wreath, but you can attach picture hanging hardware with pins or pin the ribbon a few times to the back of the wreath to secure. I used 3. I placed one into the wreath horizontally. The other two were to secure the first. 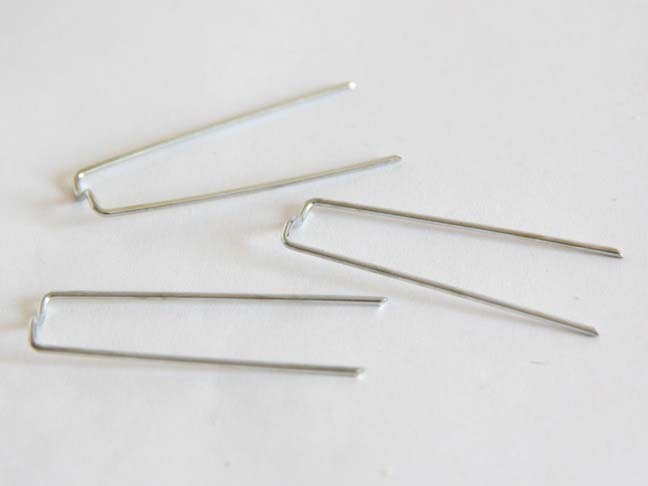 I placed them in on each side vertically so that one end of the pick holds down one end of the horizontal pick. I looped the yard of ribbon through the horizontal pick so I could hang the wreath using the ribbon. It is a long length of ribbon that is doubled up as the center of the length is looped over the pick. I figured out how far down on the door I wanted the bunny to hang and then attached the ends of the ribbon to the top of the door frame using a flat thumb tack. I cut the excess ribbon off and closed the door.